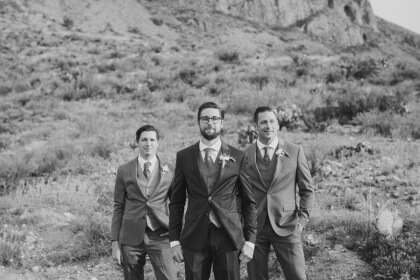 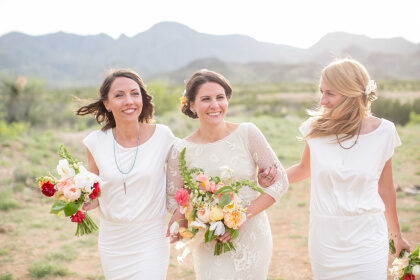 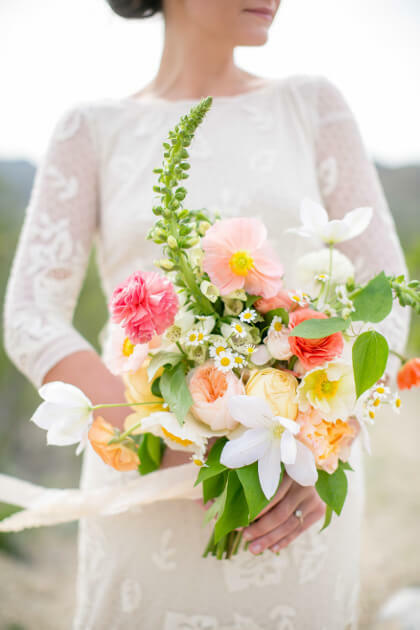 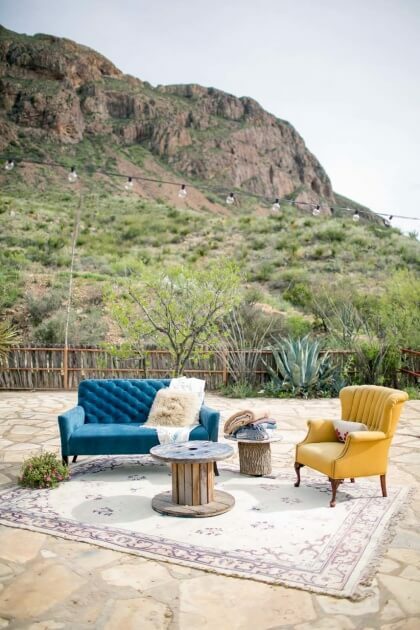 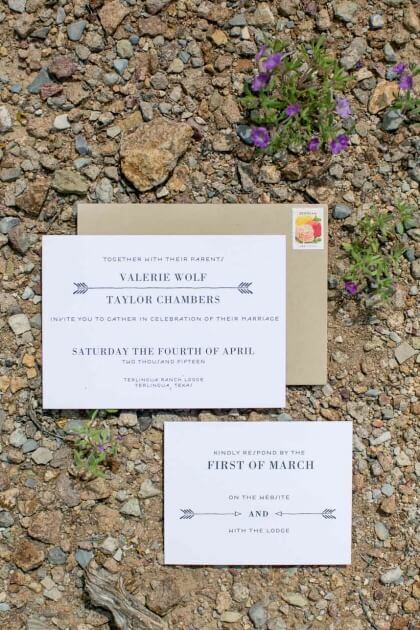 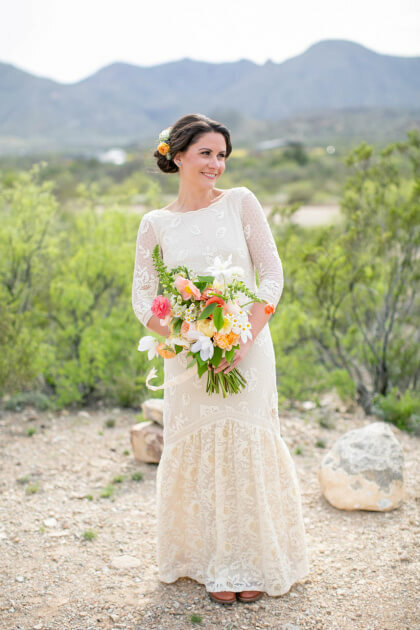 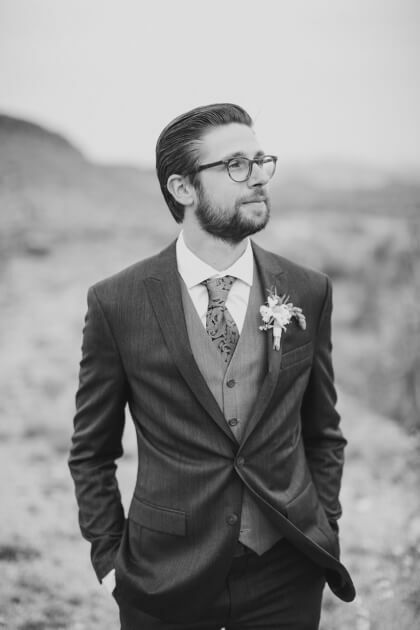 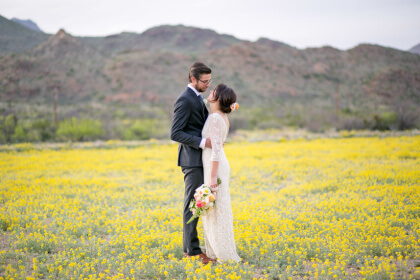 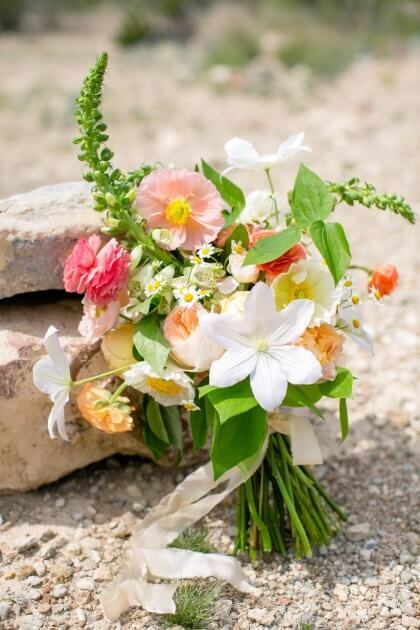 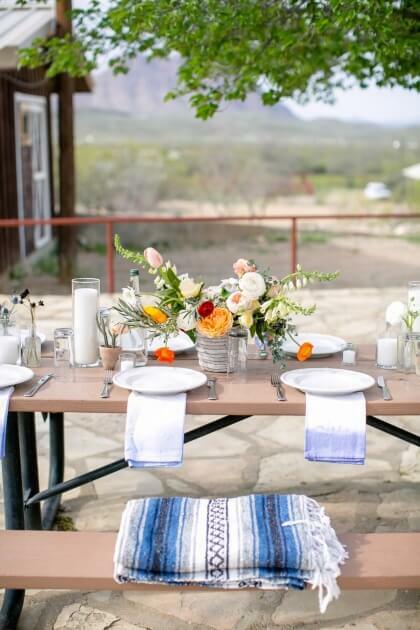 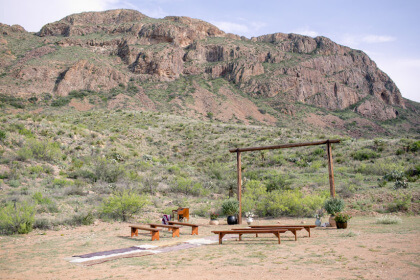 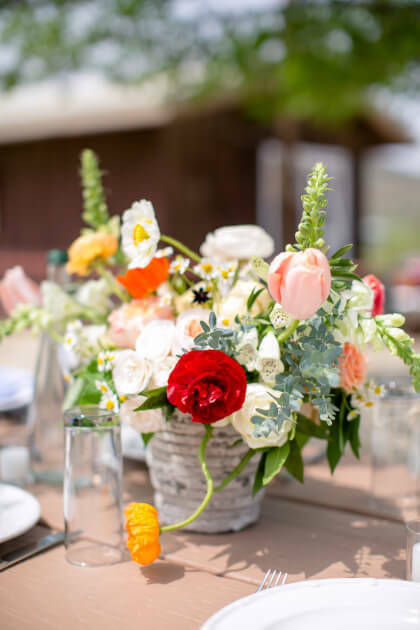 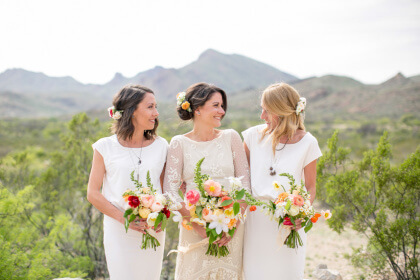 THE SETTING: Valerie and Taylor chose to keep things intimate with a destination wedding in west Texas, just north of Big Bend National Park in the tiny ghost town of Terlingua – a place their guests could relax and unplug for a whole weekend long celebration. 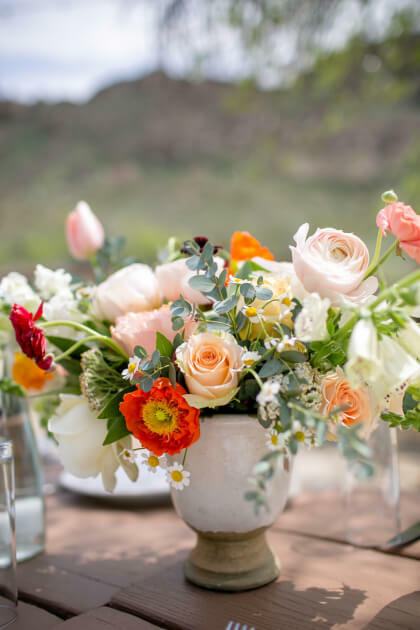 BEAUTIFUL BLOOMS: As the owner of Davy Gray, Valerie’s gorgeous floral arrangements were created to mimic the out of this world sunsets over the Christmas Mountains. 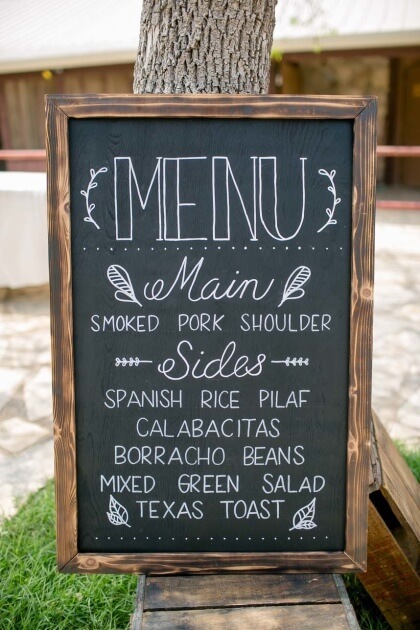 DELICIOUS DISHES: Taylor, a chef at Austin’s own Justine’s Brasserie, was influenced by the area’s Native American and Mexican roots to develop each meal’s eclectic and flavorful menu. 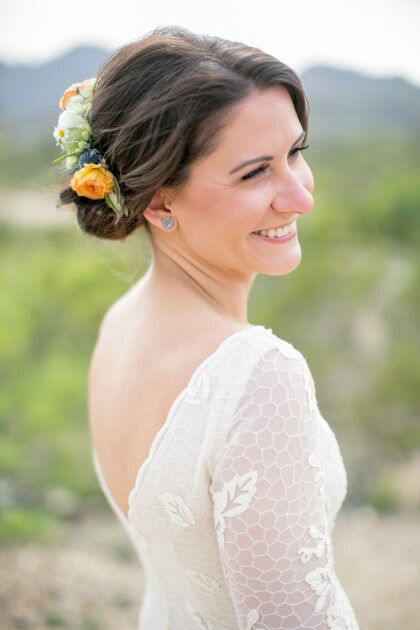 THE SPARKLE: The bride and groom’s wedding bands were designed and created by Maid of Honor Margot Wolf, a local jeweler. 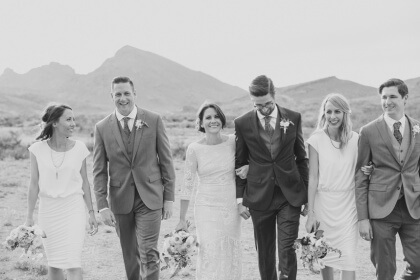 SPECIAL TOUCHES: Every aspect of their special day was a labor of love. 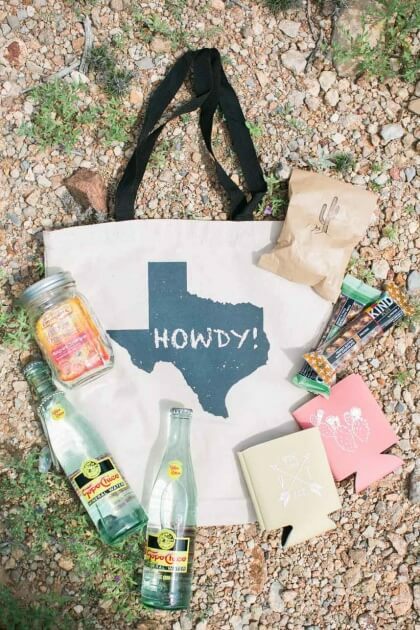 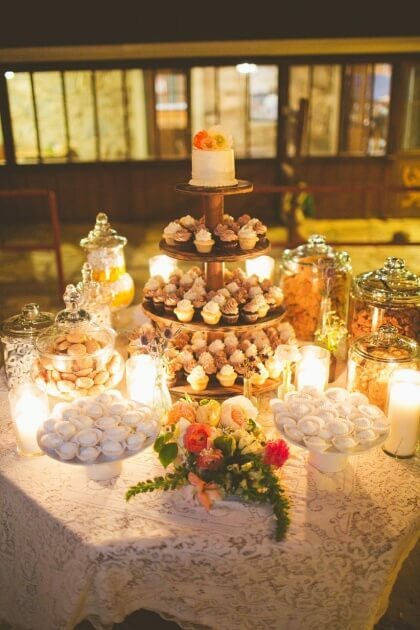 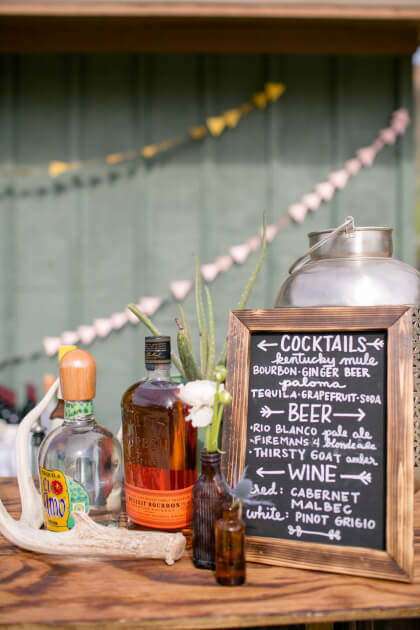 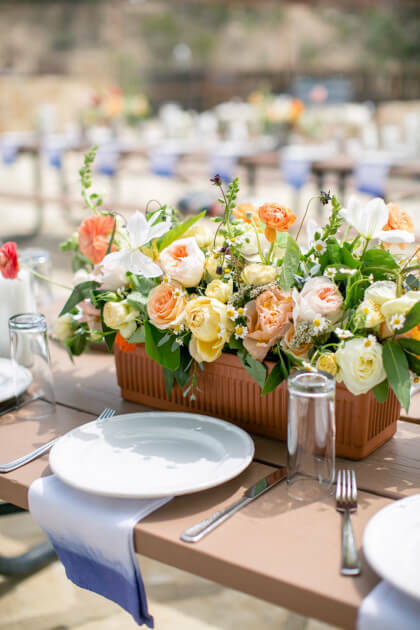 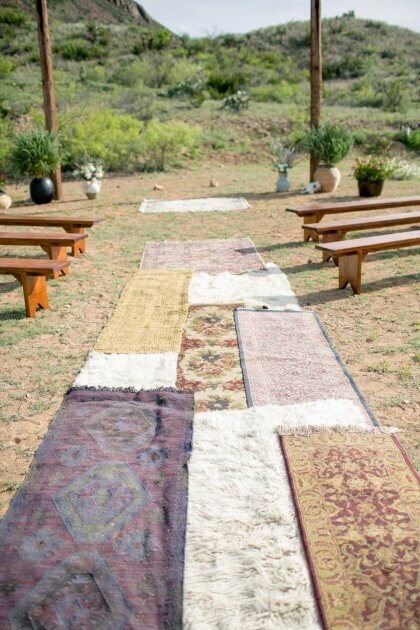 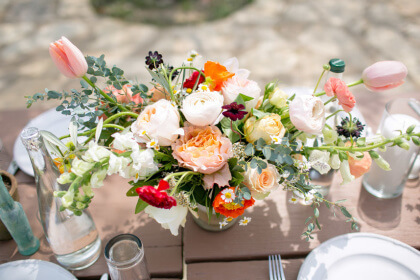 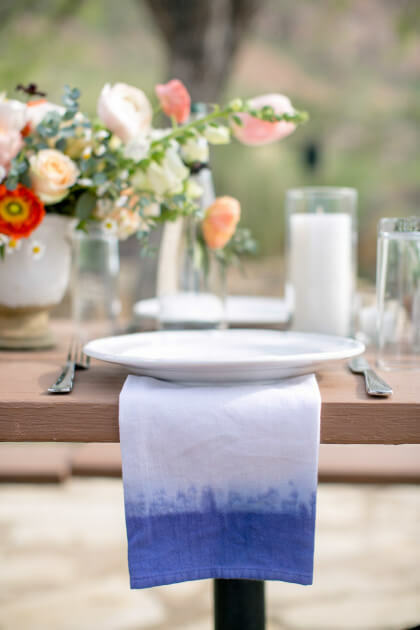 The couple’s best friend provided an entirely handmade dessert bar, their mothers assembled the guests’ welcome bags and the bride’s father designed and installed all of the patio café lighting, and last minute serape blankets were provided by family when a fluke cold front blew in. 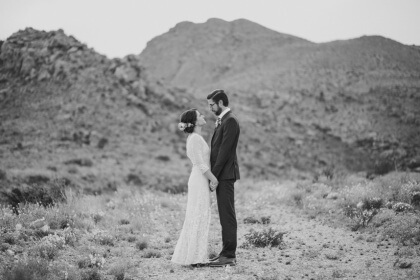 A caravan of friends and family spent all week transforming the lodge into an absolutely ideal place for Valerie and Taylor to say their I Do’s.